A Mercedes-Benz V Class is the perfect way for a family or large party of business people to travel in an executive chauffeur driven vehicle around London. The V Class is in a league of its own when it comes to executive travelling in a group, being the best chauffeur driven people carrier to hire in London. AZL specialises in luxury cars, and the largest vehicle in our fleet is the Mercedes-Benz V Class people carrier for chauffeur hire in London. Joining our ever growing collection of wholly owned vehicles for executive chauffeur services and supercar hire in London, there is no better place to go than with AZ Luxe. The interior can be filled entirely with ambient lighting, perfect for synchronising with your mood, and darkened rear windows provide complete privacy. One simple touch of a button makes easy work of entering and exiting the vehicle. Two rows of facing seats easily cater for up to six individuals, and the extra-large boot has enough room to accommodate even the most extravagant shopping sprees. 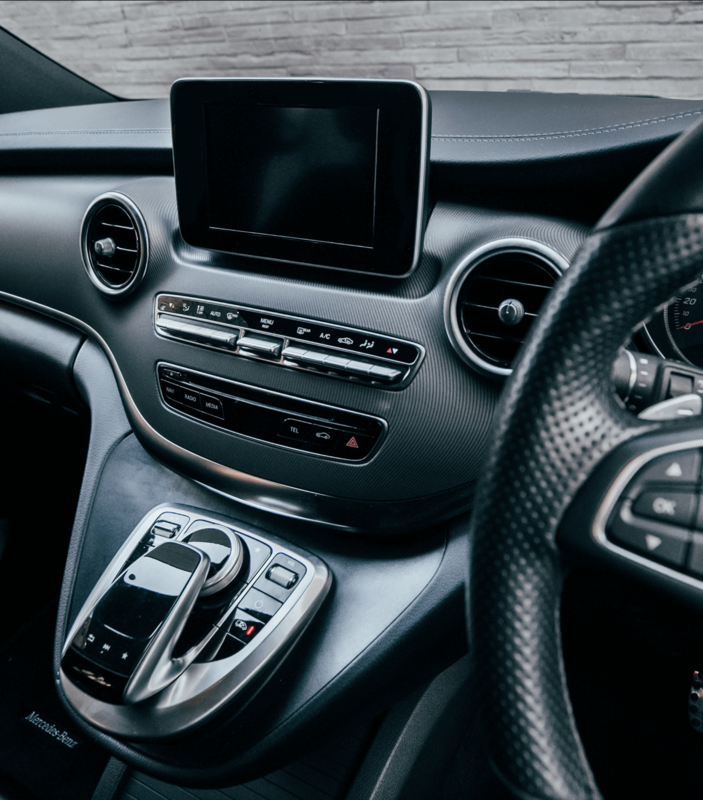 Not just big on style and sophistication, for added peace of mind, the V-class is big on safety too. It scored 5 stars in the Euro NCAP safety ratings – a huge commendation. You’ll find it a tall order to find anything better in its class. The V-class is the ultimate solution for those who demand a marriage of performance and luxury. AZL offers top executive chauffeur services in London, offering the most luxurious way to travel. Our chauffeur services can be used 24/7, with the Mercedes V-Class being the perfect chauffeur driven people carrier in London. 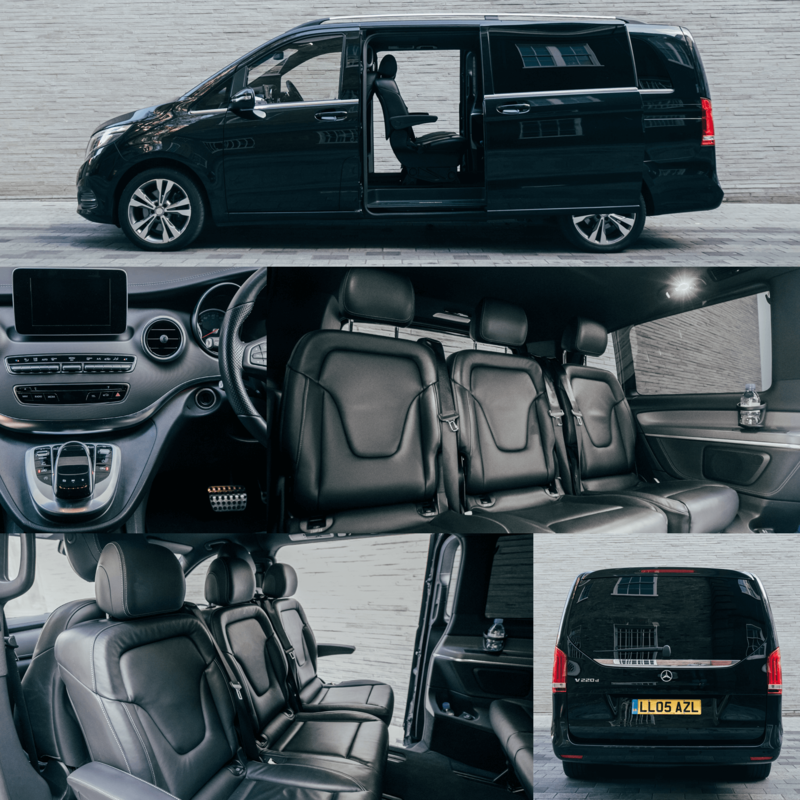 This is down to its multiple uses, such as transporting workers from the office to a meeting, group airport transfers for Gatwick and Heathrow airport, or being the perfect support car for ushers and bridesmaids on their way to a wedding. The executive people carrier is also the perfect option to use with our concierge services. As the most practical chauffeured car hire service in our fleet, the Mercedes V-Class can transport the most amount of people and luggage at any one time. Perfect for executives and international clientele, there is no better to travel around the Great British capital. After something smaller? Then our Mercedes S-Class London chauffeur service is for you. 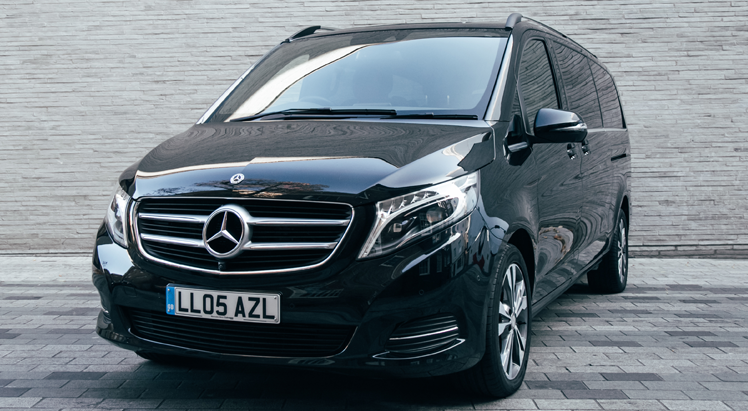 Contact the AZ Luxe team today to receive a quote on your Mercedes-Benz V-Class chauffeur hire.